A collection of David Bowie’s biggest singles will be featured on “Legacy”, a new compilation due November 11. 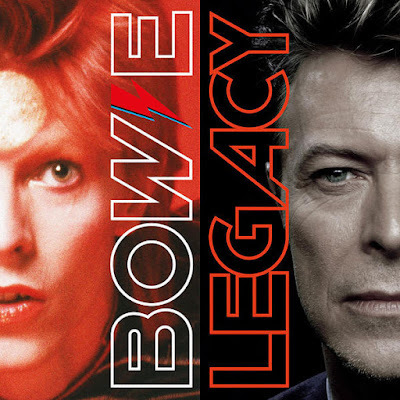 The set presents Bowie’s first hit, 1969’s “Space Oddity”, through to his final 2016 singles “Lazarus” and “I Can’t Give Everything Away”, and includes a previously unreleased version of the classic 1971 single, “Life On Mars?”, mixed by its original producer Ken Scott. Collaborations with Queen, Mick Jagger, The Pet Shop Boys and The Pat Metheny Group are also included. “Legacy” will be available as a 1 CD and a Deluxe 2 CD package, with a double vinyl album version due on January 6, 2017. 4. "Oh! You Pretty Things"
10. "All The Young Dudes"
1. Queen & David Bowie – "Under the Pressure"
6. David Bowie with the Pat Metheny Group – "This Is Not America"
7. David Bowie & Mick Jagger – "Dancing In The Street"
17. "Where Are We Now?"